A new domain for the African continent has officially been launched across the continent. A roadshow is currently happening to spread the word on the existence of this exciting technological breakthrough. This comes after years of an unwarranted delay in the delegation of .africa. 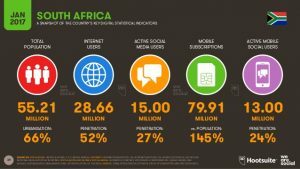 What is the domain .africa all about? .africa is for organizations, businesses, and people that embrace the optimism, resilience, ingenuity, and dynamism of this content. It officially went live on the 4th July 2017. What Makes the right domain name important? A good domain name can go a long way toward generating traffic to your website and building your reputation. A domain name adds credibility to small businesses as having your own domain name makes your company look professional. The right domain name can attract walk-in business while it builds your brand through an increased awareness of your brand identity online. It also adds mobility to your internet presence. 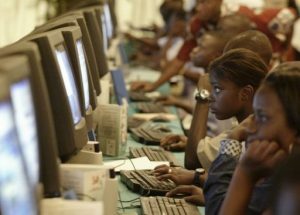 The .africa domain has received massive support from the African Union (AU), which strongly believes its introduction of will create an attractive regional home for the Pan-African Internet Community. Currently, over 78% of African countries support the initiative. The dotAfrica (dotAfrica) team are currently on a roadshow that will see them travel the African continent to launch the new dotAfrica (.africa) geographic Top Level Domain (gTLD). The majority of the region being visited are AU member states. The ultimate goal for the team will be journeying to the Mount Kilimanjaro summit while carrying the .africa flag. 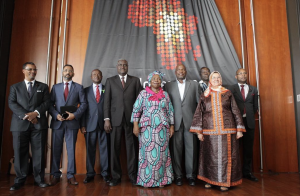 The .africa flag’s story began when it was officially handed over to the .africa team in the Nelson Mandela Plenary Hall at the AU Headquarters.